(CNS): The Cayman Islands Athletic Association have rescheduled the annual Truman Bodden Track Meet for Thursday, 14 March. 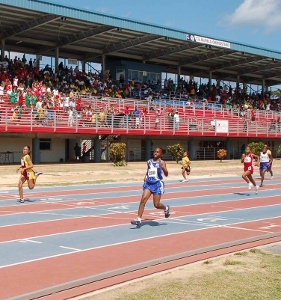 With the Inter-Primary Championships looming, officials said they expect that there will be a large turnout of local athletes competing at this Meet in preparation for the international season. All Athletes, both senior and junior will be out in full force in the hope of qualifying for CAC Age Group Championships, IAAF World Youth among others. The Meet, which is sponsored by noted Attorney-at-Law, Truman Bodden, has been staged for over 20 years and is one of the major Meets on the Association’s calendar. Registration is open to ages 7 and above and forms can be obtained by contacting Sana Tugman at 924-1649, Coach Williams at 925-1943 or Coach Yen at 925-6917. Completed forms may be returned to any of the above persons or to ivahart@ymail.com. Registration closes on Tuesday, 12 March at 6:00pm. We are also appealing to officials to please make an effort to come out and assist with the various events in order for the meet to run smoothly. The event starts at 6:00pm and continues Friday evening at the Truman Bodden Sports Complex.